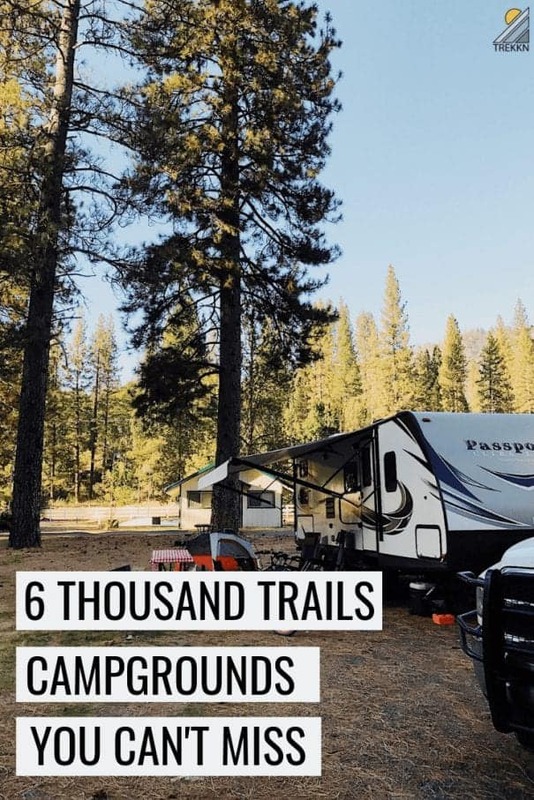 Here’s the truth: I haven’t taken the time to go back and count every single one of the Thousand Trails campgrounds that we visited during our extensive RV travels in 2017 and 2018. But on the West Coast alone (Washington, Oregon, California) we spent time in at least a dozen different campgrounds. So if I had to guess, I would say that we have experienced at least three times that many Thousand Trails campgrounds. This list is based on experiences at those 35-40 campgrounds all together. Our Thousand Trails membership experiences, to be completely honest, have left a trail of mixed reactions: from the mildly disappointed and slightly frustrated to the very pleasantly surprised that we felt compelled to share with others. Yes, as you will find with any campground membership, Thousand Trails campgrounds are a mixed bag. And the Thousand Trails reviews that you come across, including ours, will definitely support that claim. 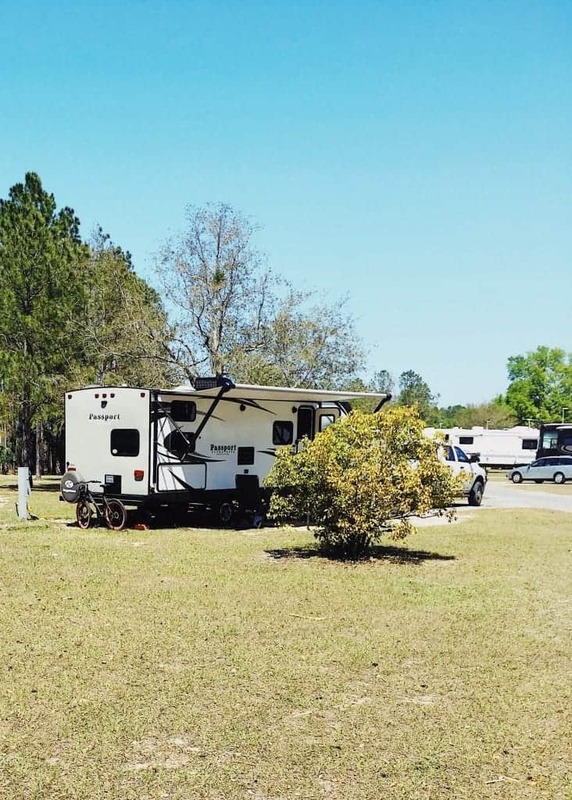 But we want to share with you the top 6 Thousand Trails RV parks and campgrounds where we had absolutely top notch experiences during our travels. Hopefully, you will be able to follow in our footsteps and experience some of them for yourself. One thing we have to get out of the way before we dive all the way into this list: If you are expecting “luxury” resorts with a Thousand Trails membership, you will come away disappointed. Some of the resorts in the Thousand Trails system are quite nice and have all of the amenities you could wish for (normally designated as Encore campgrounds or Encore properties). But more often than not you should expect your basic RV hookups on semi-level gravel or grass spots, a dated lodge (common area), limited recreational amenities and laundry facilities that just get the job done. There, I said my piece. Now we can get on with the list. Okay, I might be just a little bit biased on this one. You see, I am from the great state of Washington in the beautiful Pacific Northwest and left when I was 18 years old. 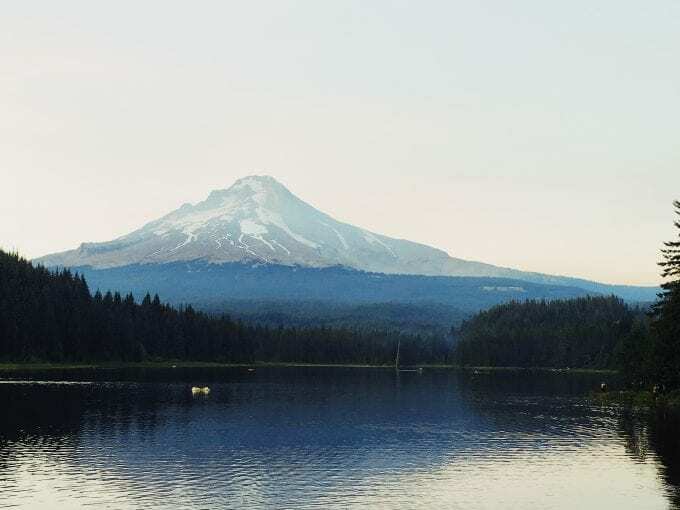 In fact, I grew up only about 60 miles or so from Mt Hood and spent plenty of time skiing (falling) on that mountain as a youngster. I am absolutely still captivated by its beauty and majesty to this day. When I got a chance to explore my home with my family for about six weeks in the summer/autumn of 2017, you’d better believe it was the joy of a lifetime to watch their faces light up at every turn. Mt Hood Village RV Resort is an Encore campground within the Thousand Trails Campgrounds system, which means that we had to pay a discounted nightly rate in order to stay there for three nights in September 2017. And even with that discount, it was one of the most expensive stops that we made in our travels. As you might expect, the overall condition and amenities you will find at Encore Properties like this are a few rungs up the ladder from your typical Thousand Trails campground. You do pay for it, but it’s well worth it in my book. The resort was very well maintained with solid amenities and the staff was helpful. It is located only about 20 miles from historic Timberline Lodge (which you cannot miss) in beautiful Welches, OR. Honestly, even if this place was a bit rundown and offered fewer amenities, it would still be at or near the top of my list simply because of the stunning location. Trust me, this #1 pick will absolutely not disappoint. And if it does…well, then I really can’t help you. Alright, this one is tough to talk about because it includes one of my biggest regrets of our travels. You see, our family visited Yosemite National Park on a Spring Break trip about four years ago. And we all immediately fell in love with the place in the few days we spent exploring its wonders. Yosemite left a mark on my soul and is in my top 3 national parks that we visited. So you would think that I would take full advantage of the opportunity to revisit this place, right? You would think that I would stay a full two weeks (the maximum stay with our membership) at Yosemite Lakes RV Resort and soak it all in, right? That would be the only logical approach. For the life of me I can’t figure out how it happened, but we only ended up staying three nights at this resort that is located just a 30-40 minute drive from Yosemite Valley. Even though there was plenty of space in the resort when we visited in early October 2017. If I had it to do over again, you’d better believe that I would move heaven and earth to find a way to stay longer and dive deeper into Yosemite. The memory hurts me. Not many frills, but who needs them in this location? 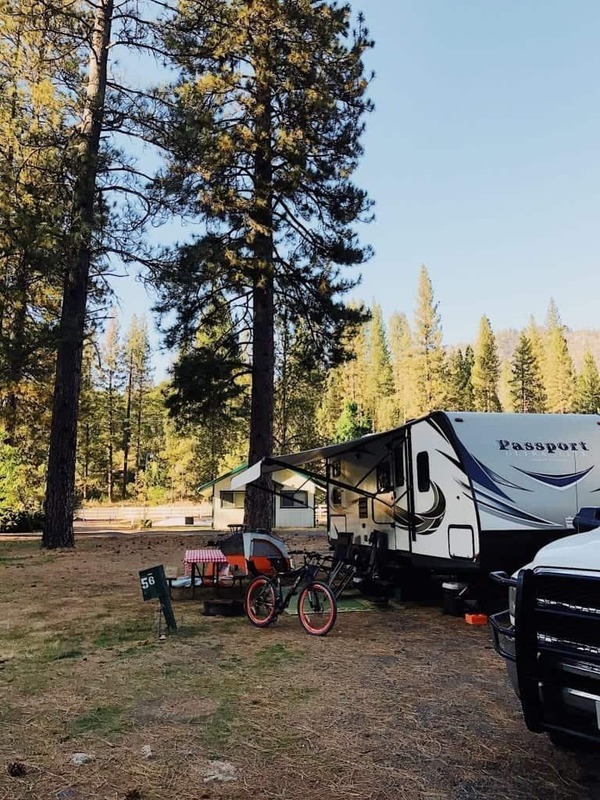 What you will find at Yosemite Lakes RV Resort is full hookups for your RV, level sites with gravel and a bit of grass right next to a river, tall pines to sit under, on-site propane service, and a lodge with some activities for the family (ping pong, pool table, TV). What you will not find is…pretty much everything else. Who cares?! We were there to get into the national park as much as possible. Period. The one pain point we experienced was a lack of internet connection and cellular signal. 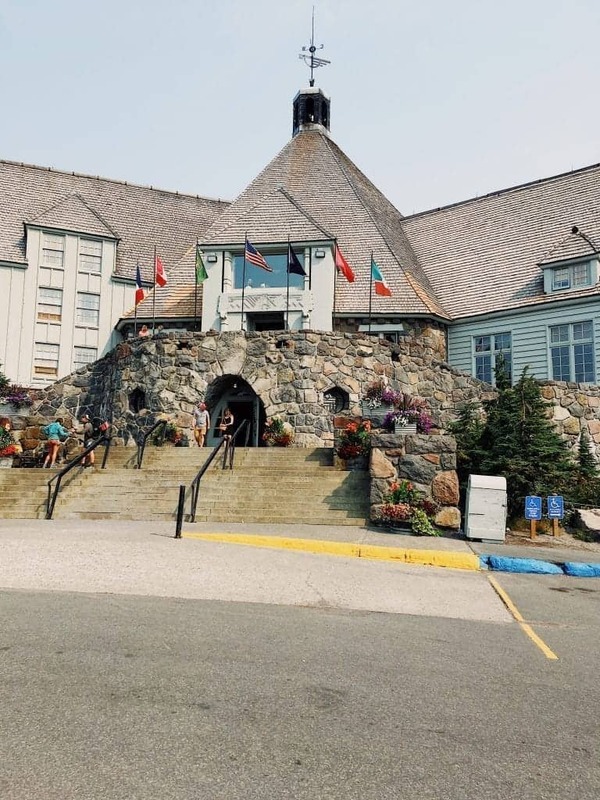 The lodge did have a WiFi connection available, but if there were a handful of other folks in the lodge using it, it was almost useless to us in order to get our online work done. This was a major stress point for us since our visit coincided with some important work deadlines. We made more than one drive about 10-15 min up the road to chase down a Verizon cellular signal and finish necessary items using our hot spot data. But for you, that precise situation may be absolutely perfect! Disconnect completely if you can, for crying out loud. It will make your time in Yosemite just that much more incredible. *Note: They told us during our visit that they had plans to seriously upgrade their WiFi connection in 2018. So if that is a concern for you, be sure to contact them for an update on the WiFi situation. You could not possibly regret a trip to Yosemite Lakes RV Resort, especially in the Fall with cooler temperatures (highs in the 50s or 60s, lows in the 30s) and much lighter crowds to contend with in the campground and in the national park. 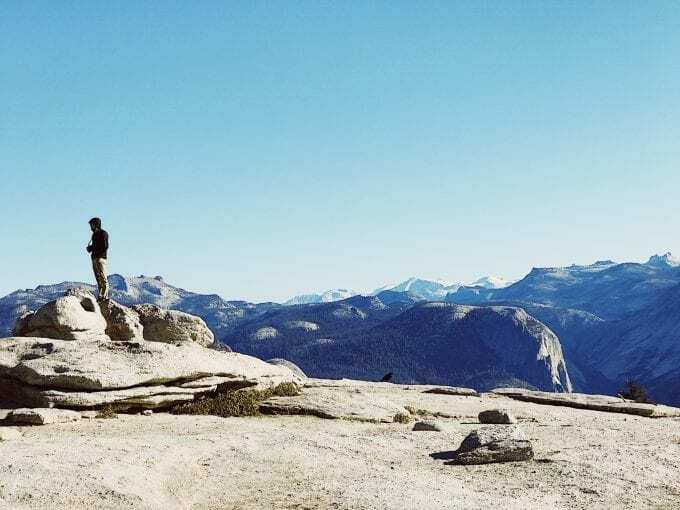 #1 Tip: Make the drive and hike to the top of Sentinel Dome. It’s a 70-90 minute drive from Yosemite Lakes, but a nice short hike (approx 2.5 miles round trip, but with some short, steep inclines). 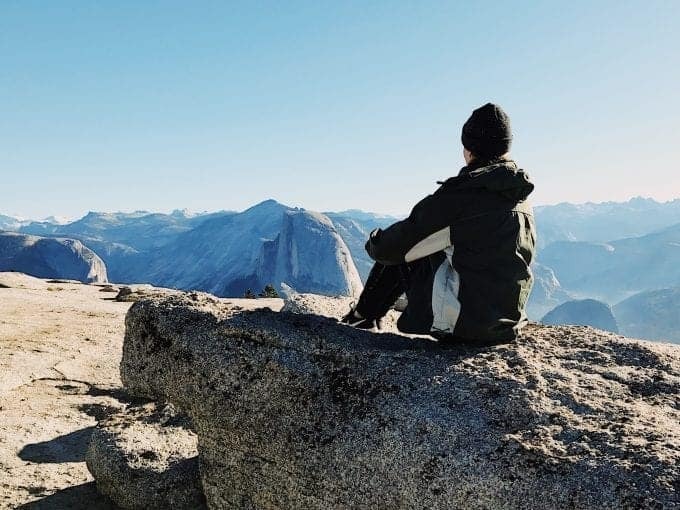 You will be rewarded with a mind-numbing view of the entire Yosemite Valley. Definitely our best family experience during this visit! I could choose to stay on the West Coast with this third pick, but I want to mix things up a little bit and jump almost to the other coast with this top-notch choice for your RVing pleasure. Thousand Trails Orlando (or TTO as its known in the community) has to be the best combination of quality, amenities and convenient location that we came across in our travels. We spent a total of nearly three weeks at TTO in the winter of 2018 and met some great friends, other full-time families, at that location. 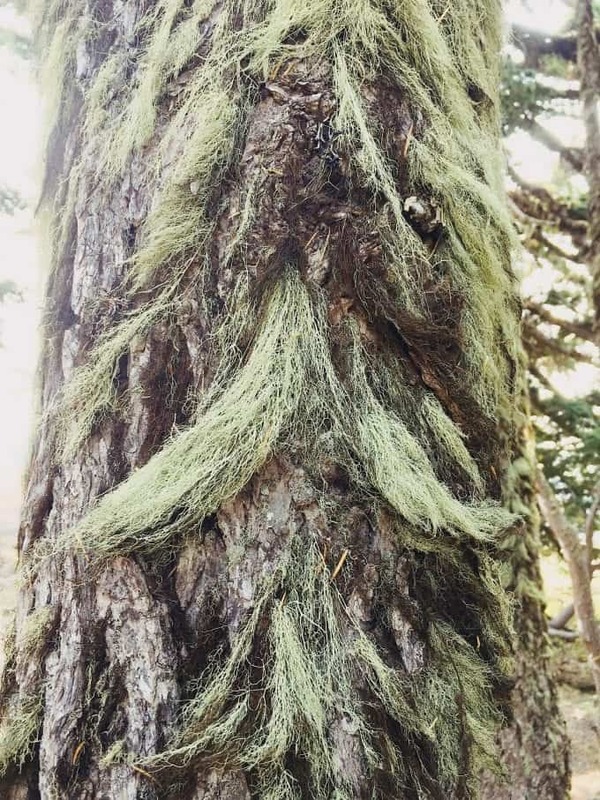 You might not expect it, but the resort is full of tall pine trees, extensive grassy areas and just a generally peaceful setting that we enjoyed completely. On top of that, they have some fantastic pickle ball courts that we made good use of (I really miss playing and now want to go track down a court after talking about it! ), wide drive lanes that make walking or biking around the resort safe and enjoyable, and excellent pool facilities. For convenience, you have all of the Disney resorts plus Universal Studios within easy driving distance! 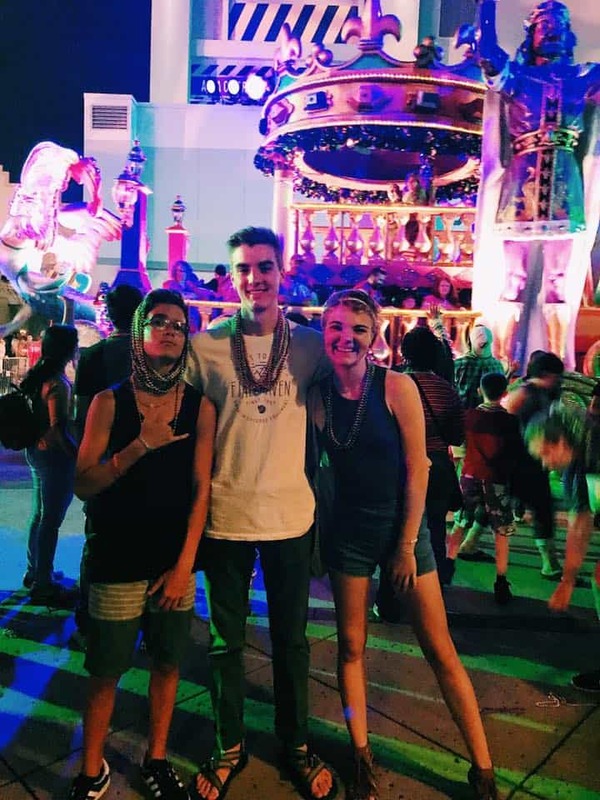 You can also read about our experience with finding and enjoying cheap Universal Studios tickets for the whole family during our stay. I can’t go on without warning you that, as you might expect, this resort does stay quite full through the winter months as many avid RVers seek to escape the winter temps. So be sure and book as early as possible at this location…and any others in Florida, really. 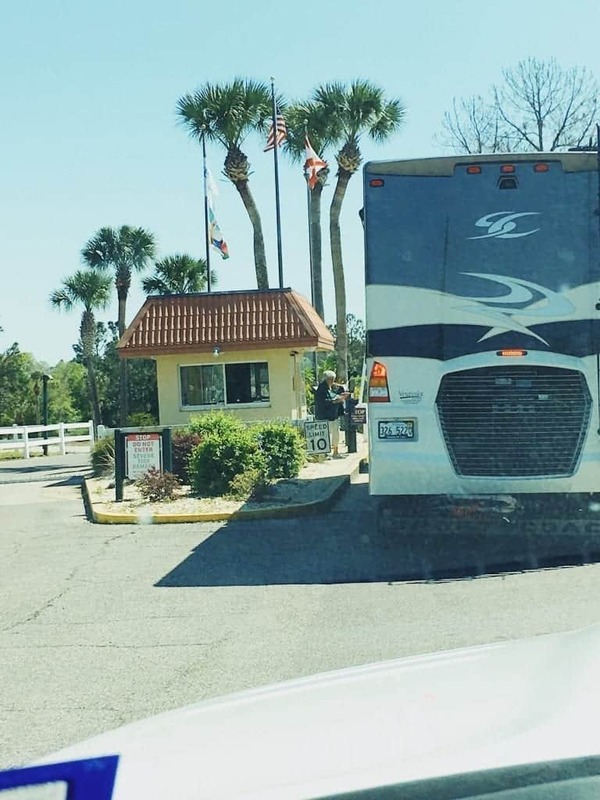 There are plenty of other RV parks that stay just as busy, I would imagine, but Thousand Trails Orlando is kind of the “Winter Mecca” for Thousand Trails RVers. It’s just the place to be, especially if you have kiddos along for the ride that want to be surrounded by a group of friends all day. The folks that work at this location remained extremely helpful and they are part of a well-oiled machine, especially when it comes to checking in! Don’t even think about pulling your RV into TTO before 12:00 noon, my friend, because that is the earliest they allow you to show up. Their check-in process is one-of-a-kind and seems to work extremely well at managing the volume they handle daily. Don’t go and mess it all up by trying to sneak in early. They will label you, I guarantee it. I could give you an ear full about several other Thousand Trails Campgrounds that we thoroughly enjoyed. But I think I am just going to give you a quick overview of the last three so that this doesn’t turn into an encyclopedia. This place is the height of convenience and affordability as the holder of a Thousand Trails membership. For $20 per night (it’s part of the Trails Collection I mentioned earlier), you can have Pacific Ocean views and super easy accessibility for exploring San Francisco and the entire area. It is simply a paved parking lot with full hook-ups, but that’s what you get with urban RVing. It was exactly what we needed and we had a fantastic time exploring everything nearby for three days. If you are looking for some peace along the California coast, this spot is an excellent option. Also part of the Trails Collection ($20 per night), it sits right on the edge of the dunes (like a 60-second walk) and gives you plenty of options to get down to the beach with a 10-15 minute drive. We could have stayed several more days here if schedule had allowed. You won’t regret a weekend, or a week, recharging your batteries by the ocean in this little gem. Find out more about this Pismo Beach RV park in our post here. I know, I know. Only one of my top 6 are NOT in California or Florida? Well come on, what did you really expect? This is where the dollars go to create exceptional spaces and experiences because this is where the people go! And for very good reason. 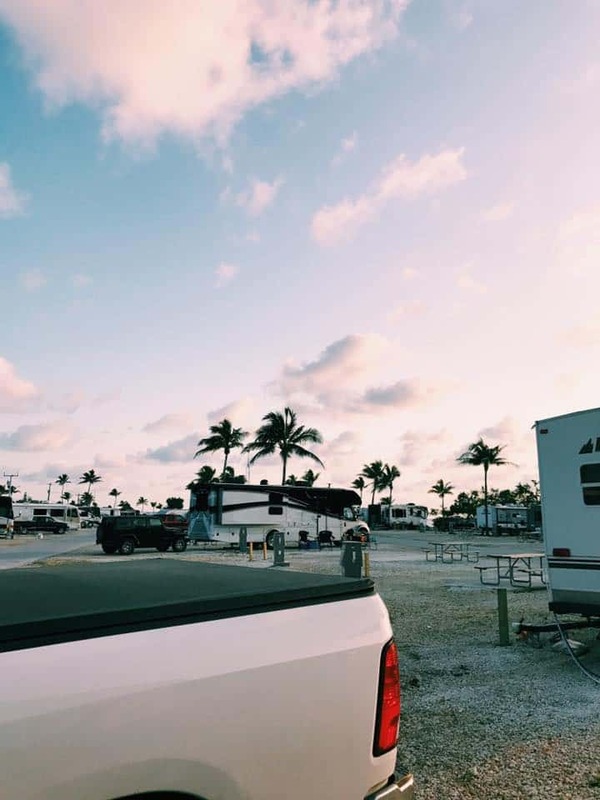 There is only one other Thousand Trails Campground further south on the keys than Fiesta Key RV Resort, and that is Sunshine Key RV Resort. 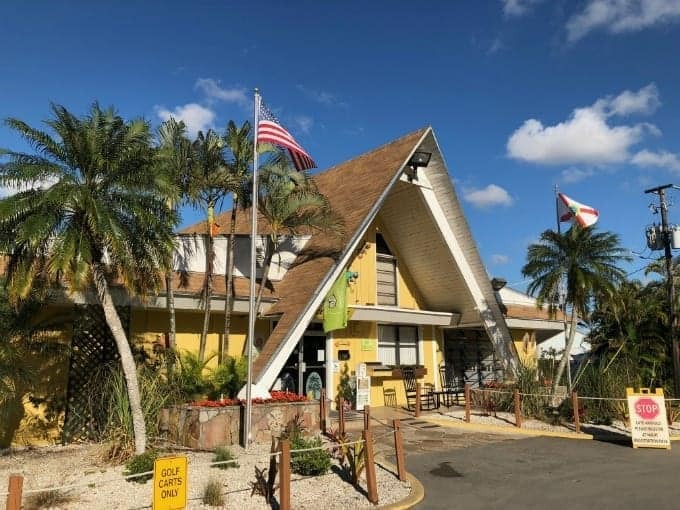 It is literally surrounded on all sides by the warm and crystal clear waters of the Atlantic Ocean with tons of amenities to enjoy, including a restaurant and bar right on the water! 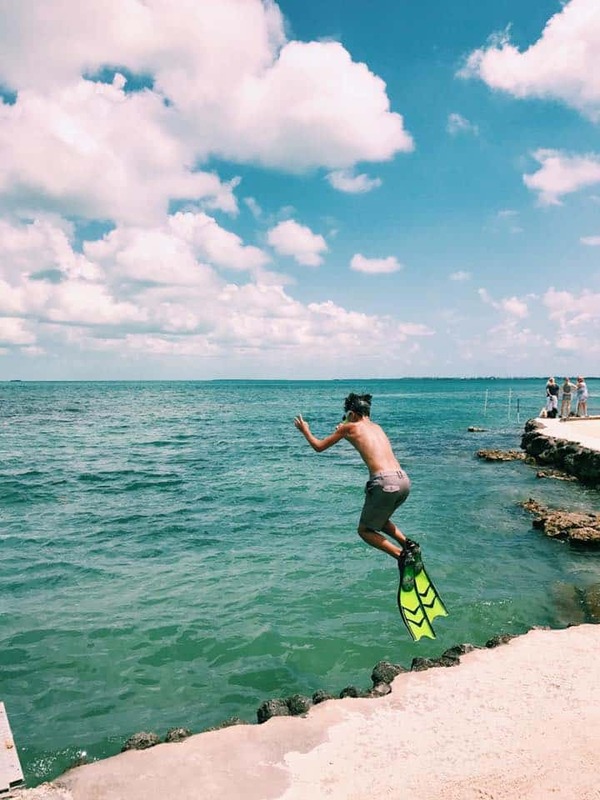 As our introduction to the Florida Keys, we could not have asked for anything better. Go check it out…and make some great friends there like we did! I can’t even begin to tell you how grateful we are that we had our Thousand Trails membership for our full-time travels around the U.S. The locations that I’ve talked about here hold so many great memories that will be with us for the rest of our lives, and the affordability of the Zone Camping Pass that we had is what made it all possible. We will be forever grateful that we found this option for our family. No, you will not find luxury and perfection at every location you visit. But you will find a chance to kick back, relax, and create memories with the ones you love. After all, that’s what RVing is really all about. Now get out there and keep on TREKKN! Want to know some of our favorite RVing destinations? Check out our post titled ‘Our Top 5 Favorite RVing Spots After 17 Months on the Road‘.